The first half of 2010 saw worldwide sukuk issuance top $13.7 billion, nearly double the amount of the first half of 2009. 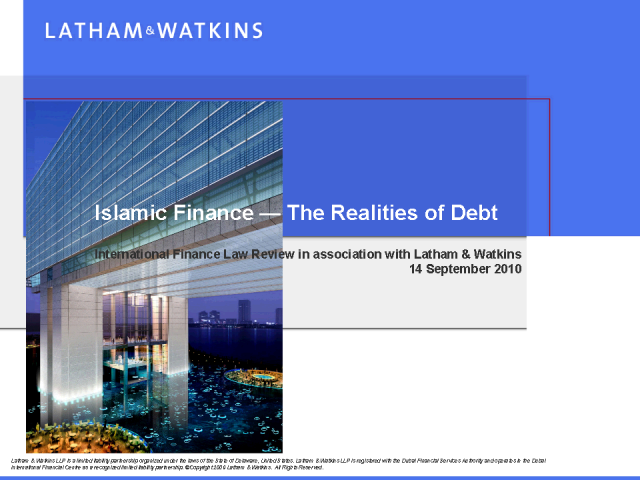 Despite the setback of the financial crisis, Islamic debt products are growing again. This IFLR web seminar, in association with Latham & Watkins, will reveal the latest developments in deals and structures. • Rule 144A high yield sukuk - Does the Dar Al Arkan issuance pave the way?